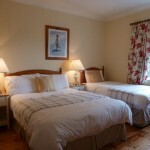 Abbeylee Bed and Breakfast is a family run, tastefully decorated, purpose built bed and breakfast. The hosts Marie and Mark will welcome you and they will do their best that you feel in the Abbeylee Bed and Breakfast like at home even you are far away from home. The rooms offer everything what you need. The rooms are ensuite, TV, coffee and tea facilities. The Abbeylee Bed and Breakfast provides a comfortable lounge area and private parking for their guests. Every morning Marie and Mike serve their famous breakfast including their homemade bread and scones. Another special is that all breakfasts are cooked to order. 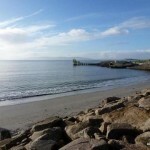 This is the best way to have a good start in the morning to tour through the Galway city. Our cosy and beautiful scenery provides peaceful relaxation after a day’s exploration of Galway’s many sites and activities. 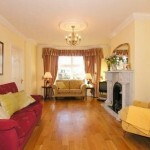 Situated in the suburbs of Galway city in close proximity to Galway Bay's spectacular area and attractions. One of the best attraction is the Eyre Square Centre, overlooking the park, a modern shopping mall built to in incorporate sections of the historic city walls. Walkways link Shoemakers and Penrice towers, two of the 14 wall towers that used to ring the city in the 17th century. From Eyre Square, William Street and Shop Street are the main routes into the bustling “Latin Quarter”. On the corner of Abbeygate Street Upper and Shop Street stands Lynch’s Castle, now a bank, but still the grandest 16th century town house in Galway. From the Lynch’s Castle you can explore the city to the Collegiate Church of St. Nicholas and The Quays Pub, where you can make a stop for a cold pint. Enjoy the evening and dine outside at one of the traditional cafes in the Shop Street.